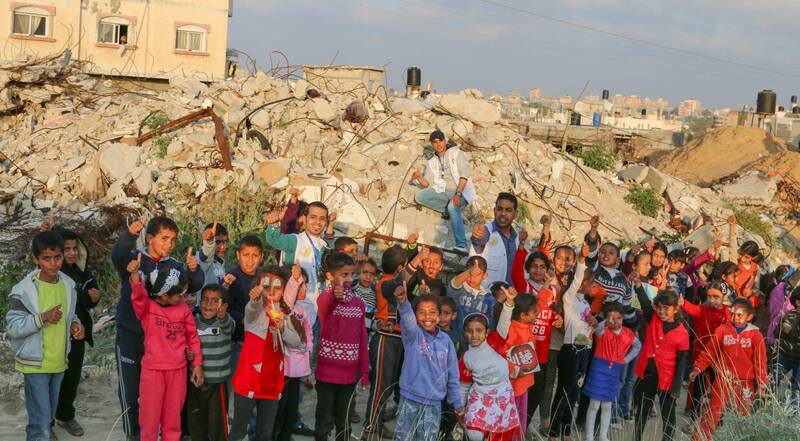 Who is taking care of the youth in Gaza? Over 20,000 homes were destroyed in Gaza in the summer 2014 war. The rehabilitation process is long and slow, accompanied by economic, political and security calculations. It will take a long time before the over 150,000 people who lost their homes will be able to live again in a home of their own. Many of the families who lost their homes that summer, are families of refugees who lost their homes in Jaffa, Ramleh, Lyd, Isdud and the area in 1947-49. The process of rehabilitation of the Gaza Strip children, who were born to the reality of refugee camps and wars, is also very slow. About 900,000 children and youth under the age of 18, live in Gaza (about half of Gaza population). There are not enough organizations and teams that are able to help them cope with the traumas accumulated from war to war, from shelling to destruction to loss – in the war of 2014 summer, 530 children were killed and thousands were injured.